Events of the past week show Wells Fargo’s attempts to put a huge scandal behind it by paying a $185 million penalty and settling a class-action lawsuit for $142 million have failed because of fresh evidence of corporate malfeasance – grim news for the iconic San Francisco-based bank. 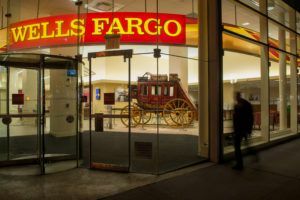 The fine and settlement were over what a Wells Fargo internal report showed were company sales agents –under pressure to meet quotas – opening up to 2.1 million unwanted checking, savings and credit-card accounts from 2011 to 2015. The revelation had already forced the resignation of CEO John Stumpf and led to the firing of more than 5,000 mostly low-level employees. But now that the New York Times has broken the story of another massive scandal, more heads are rolling. The Times obtained an internal audit that showed more than 800,000 Wells Fargo customers were charged for auto insurance they didn’t need, forcing more than 270,000 to fall behind in their payments and leading to nearly 25,000 vehicles being repossessed. While Wells Fargo’s board was specifically cleared in the internal report on unwanted accounts, the new round of bad news produced a dramatic shake-up even without a formal assessment of blame. The three longest-serving members – current chair Stephen Sanger and regular members Cynthia Milligan and Susan Swenson – will retire at the end of the year. Sanger is being replaced by the board’s current vice chair, former Federal Reserve governor Elizabeth “Betsy” Duke, on Jan. 1. Wells Fargo depicted the board departures as routine, but market analysts said it was plainly related to shareholders’ anxiety over the emergence of a second mega-scandal. Not only has Well Fargo’s stock price gone down by more than 13 percent since March 1, there’s also a sense that regulators and federal lawmakers who have been harshly criticized by activists for letting Wall Street practices that led to the Great Recession go unpunished see a second chance to hold financial manipulators accountable. Duke, the new Wells Fargo board chair, is also facing pressure to unilaterally begin a sweeping, independent investigation into company practices to determine if there were other policies that saw customers as “cash cows” to be exploited. A San Francisco Chronicle analysis made the case that a massive forensic audit may be necessary because only one wing of the financial giant – retail banking – had faced serious scrutiny. Writer Thomas Lee suggested there was a calculation to the limits on scrutiny and noted that a whistleblower first notified company executives of fraudulent accounts being opened on a massive basis by agents under pressure to meet quotas all the way back in 2001 – not 2011. Yet there is good news of late for embattled Wells Fargo officials. The Trump administration is sending out strong signals of a hands-off approach on financial regulation, according to a recent New York Times report. It noted that new Securities and Exchange Commission Chairman Jay Clayton cited costs to shareholders imposed by onerous rules in his confirmation hearing. Whether or not Wells Fargo faces renewed pressure from regulators, it appears fully able to weather more scandals. The company, founded in 1852 in San Francisco, remains profitable and has more than 260,000 employees in all 50 states. While Wells Fargo’s stock price has dropped this year, it is still up by more than 60 percent since the start of 2013.